Are you looking to GROW your business?? Connect to Buyers and Sellers.. For Free! Join our vibrant community by sharing photos, videos and other engaging content to further promote your property. 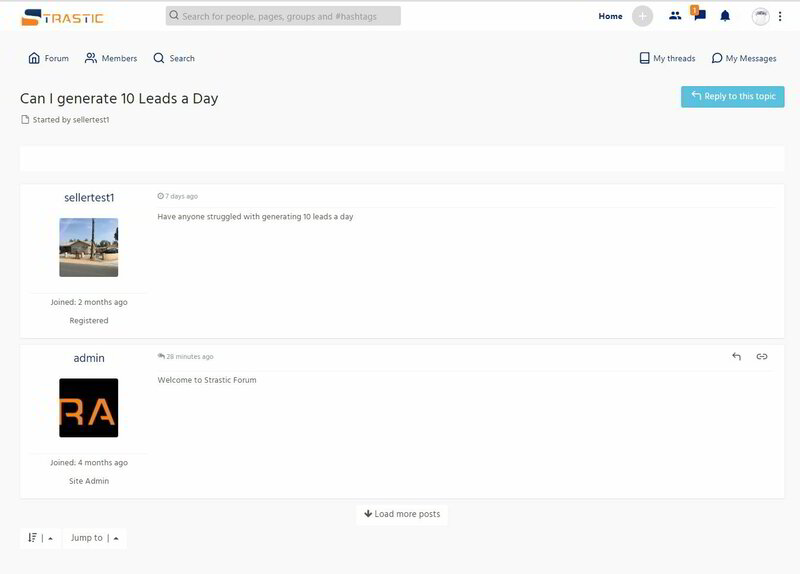 The News Feed allows users to connect with individuals on more than just a business level, but also a personal level. The cornerstone of our real estate platform is making connections. 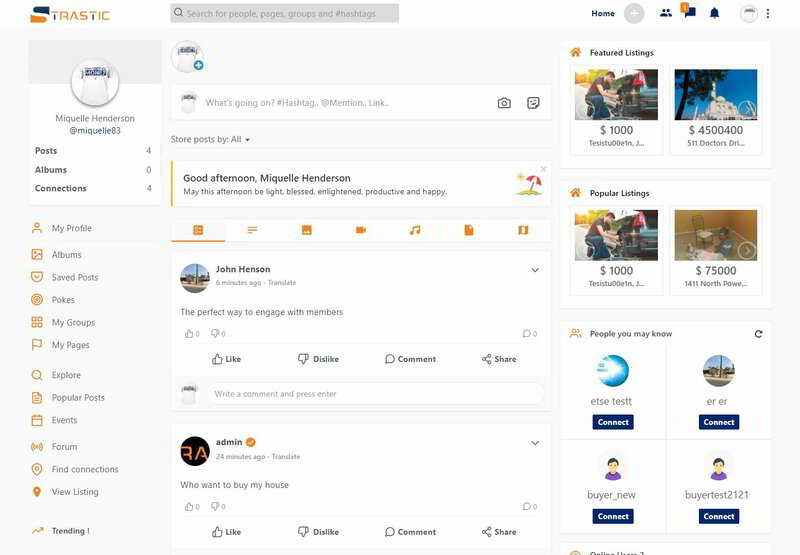 Strastic makes it simple to find and connect with buyers, sellers and other professionals. Our popular "Buyers Match" feature alerts the member when there's a property that meets their criteria. Our proprietary dashboard allows our members to get detailed information about their property, from their buyers match component to their offer status. 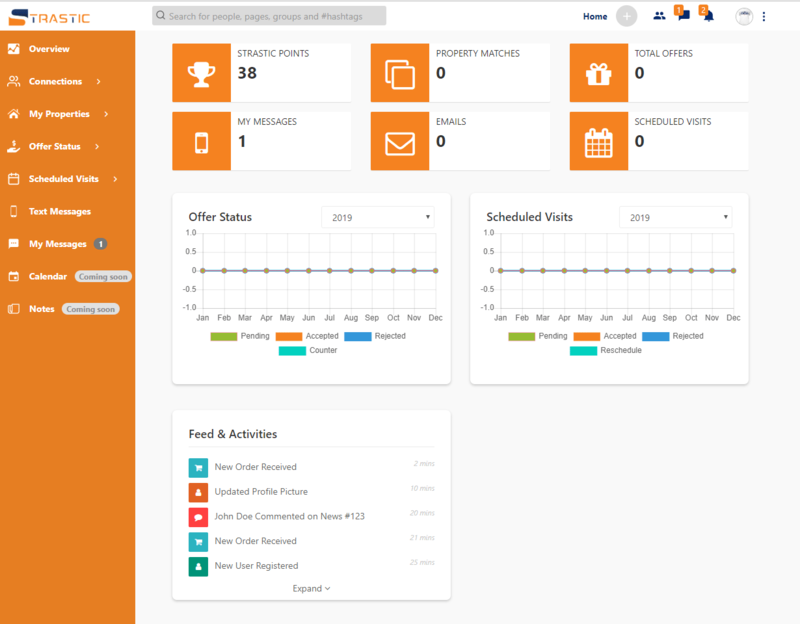 Our user-friendly dashboard makes it simple to track, analyze and monitor your properties and how they're performing. 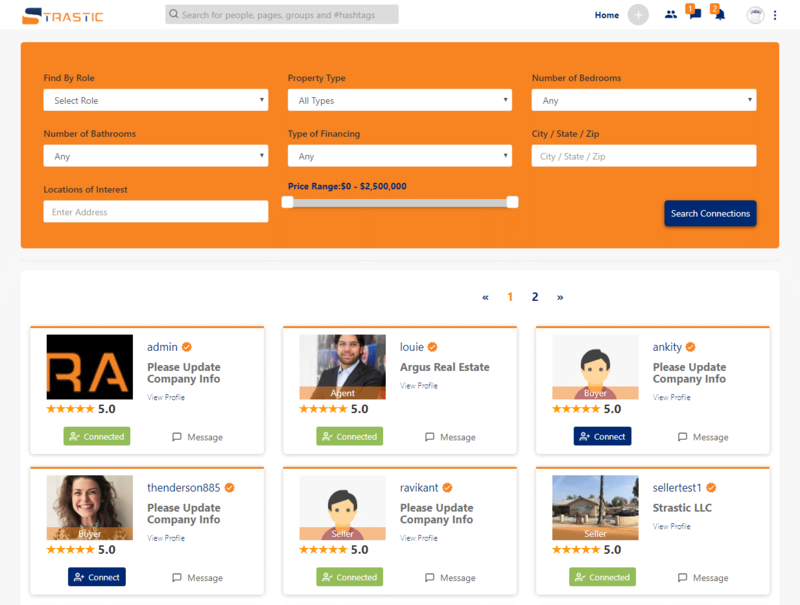 Utilize one of the best ways to promote real estate, by emailing your property directly to potential buyers and sellers through our email marketing platform. Directly market to your connections via SMS text messaging, maximizing the opportunity to reach buyers and sellers quickly and effectively. Our Forum allows our members to create a place where ideas, and views and opinions on real estate, investment strategies and other issues can be exchanged freely.